E-Bike News: Toyota E-Bike, New Factories, New Designs & Tech, E-Bike Book, Tours, & More! Is Toyota getting into electric bikes? 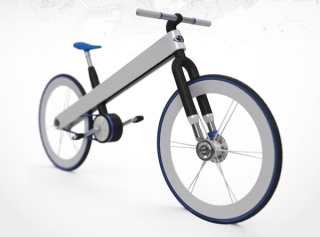 Here is a concept e-bike from the large auto manufacturer. It has a mid drive motor and the battery is housed in the mainframe. This concept may never make it to production but Toyota is claiming that their new i-Road electric 3 wheeler will. The i-Road is an interesting vehicle that blends some of the e-trike technology with car technology.